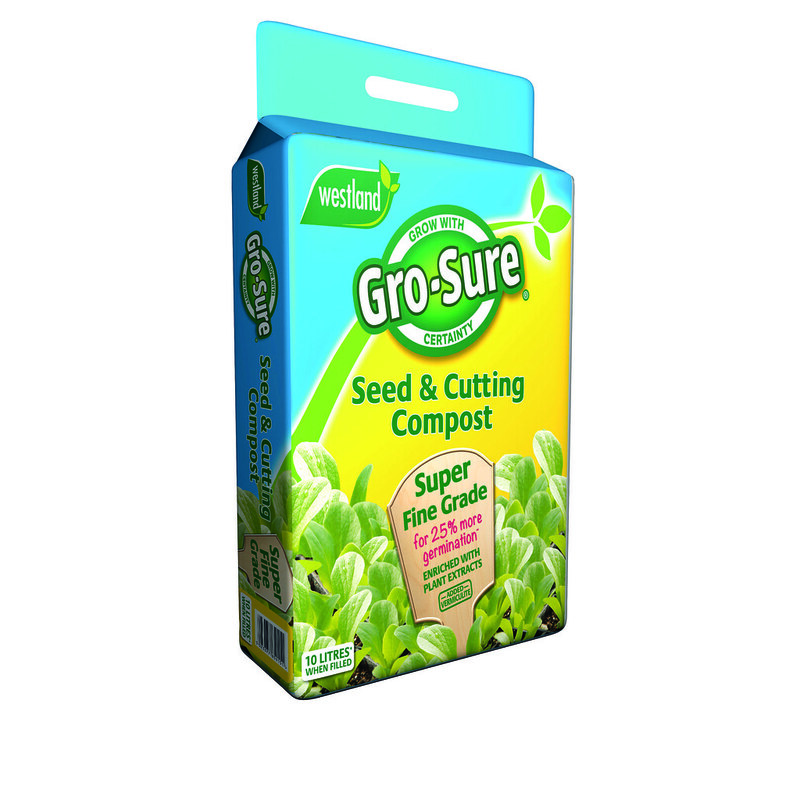 Westland Gro-Sure® Seed & Cutting Compost 10ltr Bag formulated to improve germination by up to 25%, gives your seeds the best start in life. Super fine grade compost with improved aeration & drainage, as a unique formulation to release nutrients when required. 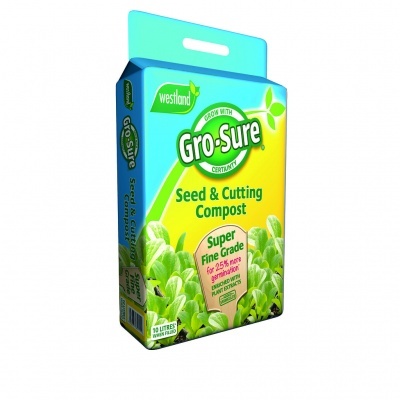 Seed & Cutting compost material comprises Peat and West+ Wood fibre (created from FSC® certified forests) ensuring this fibourus compost provides perfect growing conditions for seeds or cuttings. Peat based nutrient rich compost pack filled in accordance with the Growing Media Association Code of Practice.